We’re all for embracing the current unicorn trend. Who doesn’t love a magical horse with a horned head designed for fighting that either eats rainbows or perhaps poops rainbows? 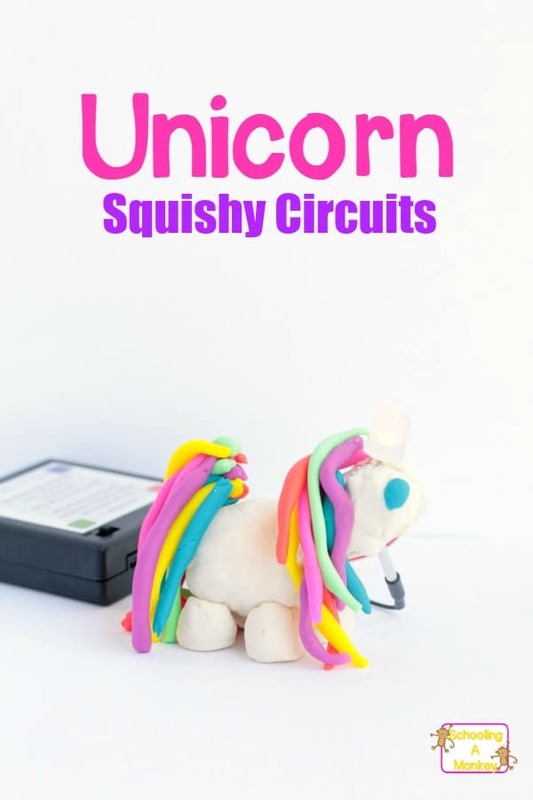 Since my kids love unicorns, I’ve been trying to create more educational unicorn activities for them, and our latest unicorn project is the light-up unicorn horn craft using Squishy Circuits. 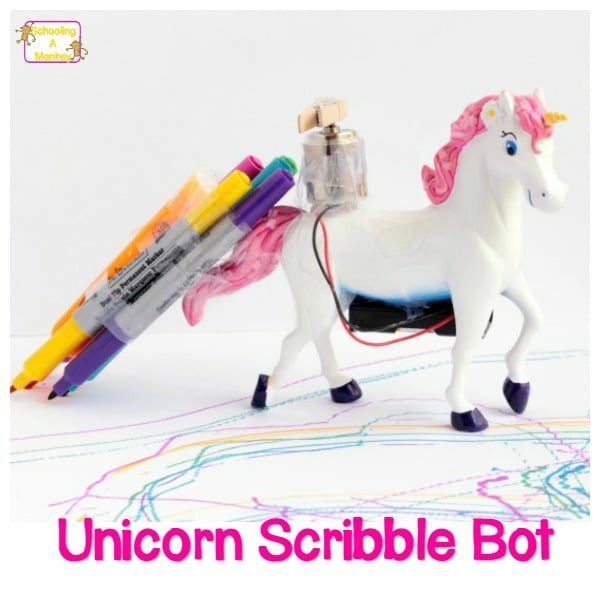 I think this little electrical engineering activity for kids might make Thomas Edison turn over in his grave, but I’m all for any project that fosters a love of STEM activities in kids, even if the great electrical engineers might find the projects a little silly. 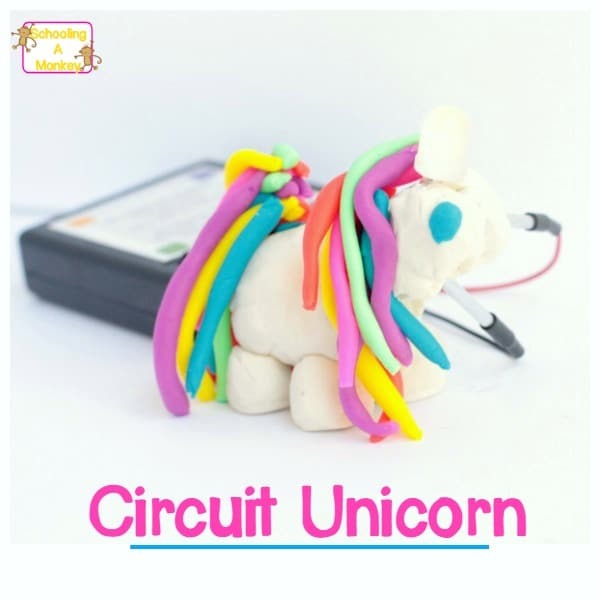 Who knows, Thomas Edison might have made a Squishy Circuits unicorn with his own daughters and sons if he had the resources available at the time! 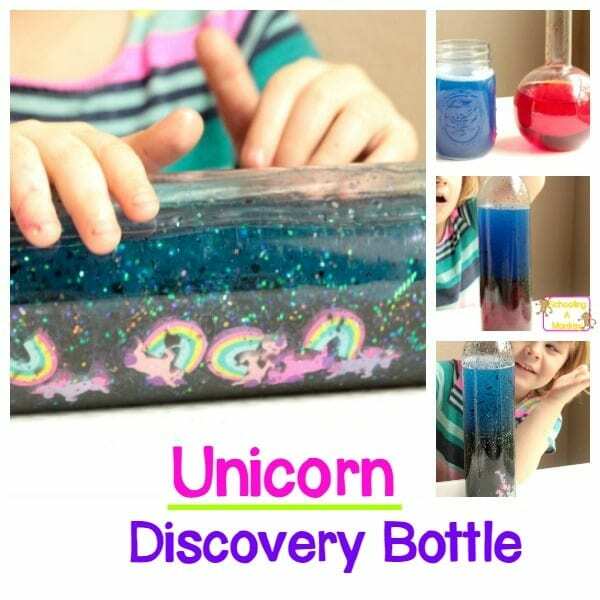 This activity is one of our favorite technology activities for kids! 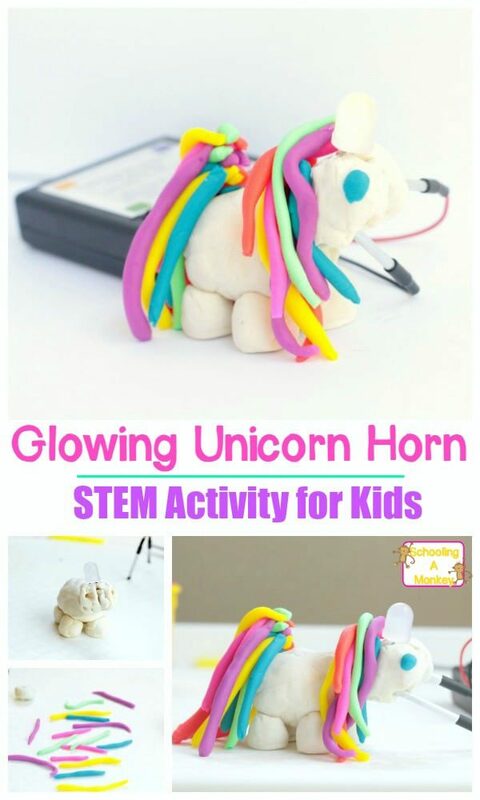 My kids were absolutely tickled by this unicorn horn craft and what made this project even better is that the circuit design was our most challenging yet! The kids learned a lot about how to keep a circuit current working even when there are a lot of elements involved. For the unicorn horn to light up, the most important piece is the head. The head is where the circuit system lives for the light-up horn. The modeling clay is insulating, which means it prevents the electrical charge from traveling through the clay. 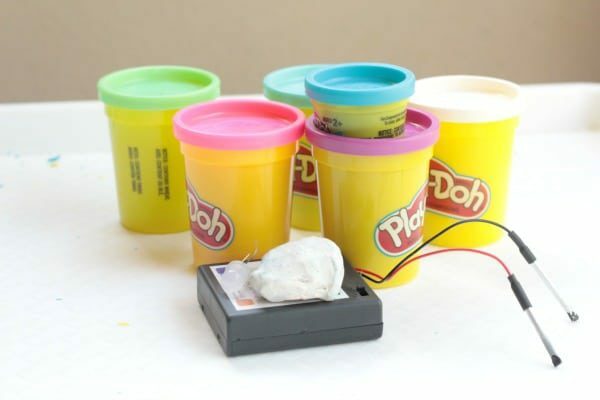 The play dough is conductive, and it allows the current to travel through the dough. 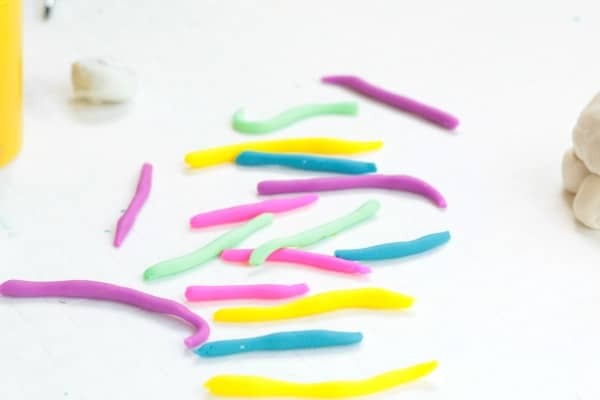 Squishy Circuits work by completing a circuit with two pieces of conductive dough separated by insulating dough. 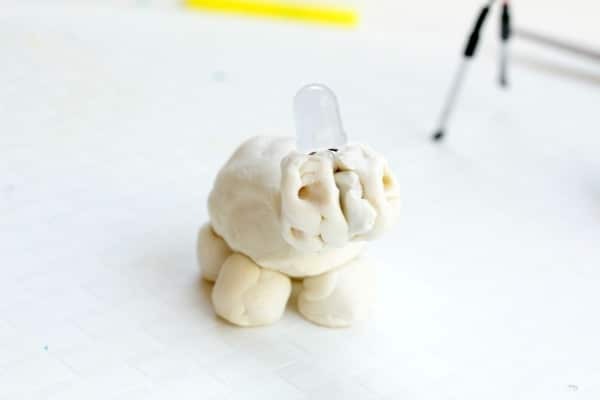 The head is mainly made up of insulating dough, with two pieces of white play dough surrounding it, but not touching. If the two sides of the conducting dough touch, the unicorn horn won’t light up. Use plastic drinking straws to stabilize your unicorn design and help the body stand and the head attach to the body. 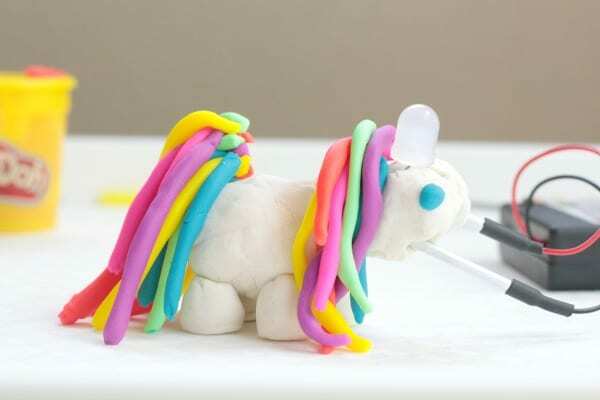 Make the unicorn mane and tail by rolling a rainbow of colored play dough into small strands and adding it to the head and back of the unicorn body. Add eyes with colored play dough. 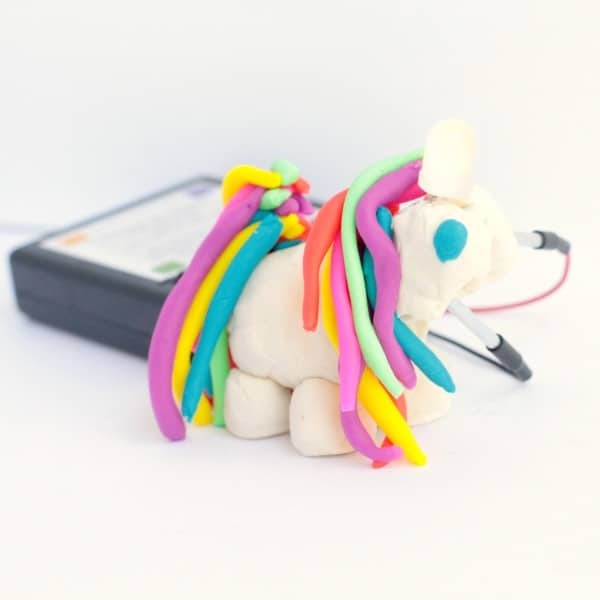 Attach the unicorn horn to the top of the head making sure that each side of the LED light are stuck in either side of the conductive play dough. Stick the red wand into the side with the longer LED wire and the black in the other side. Turn on the battery pack, and the horn should light up. If it doesn’t, you’ll need to make design adjustments until it does. 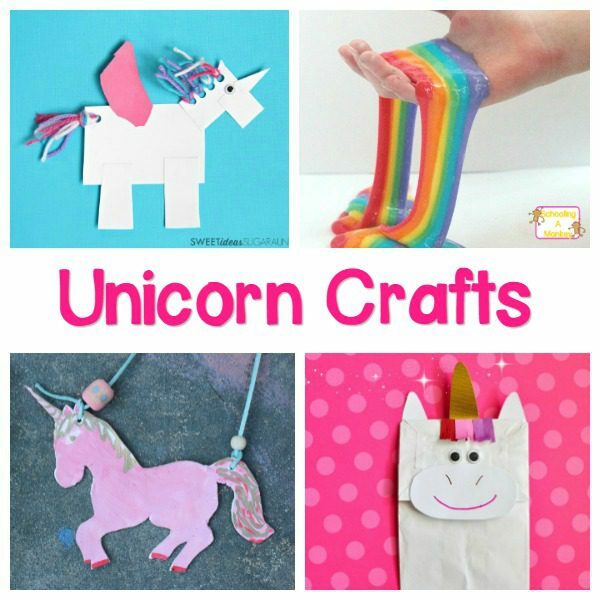 Now you have your very own light-up unicorn horn craft!